FBA’s Flow Centre is officially open! 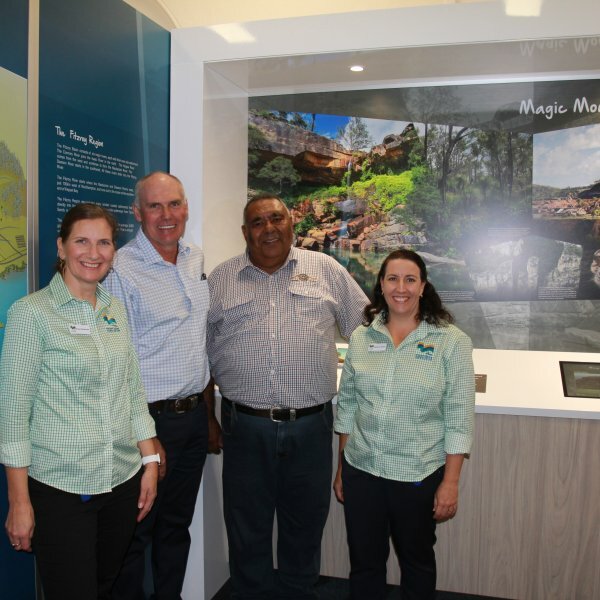 IT’S been nine months of hard work, careful thought and bringing dreams to life, and now Fitzroy Basin Association’s Flow Centre is reopening! A place to discover, interact and inspire positive change for our local environment, the Flow Centre has undergone an extensive transformation, and we are thrilled to announce the centre is now open. 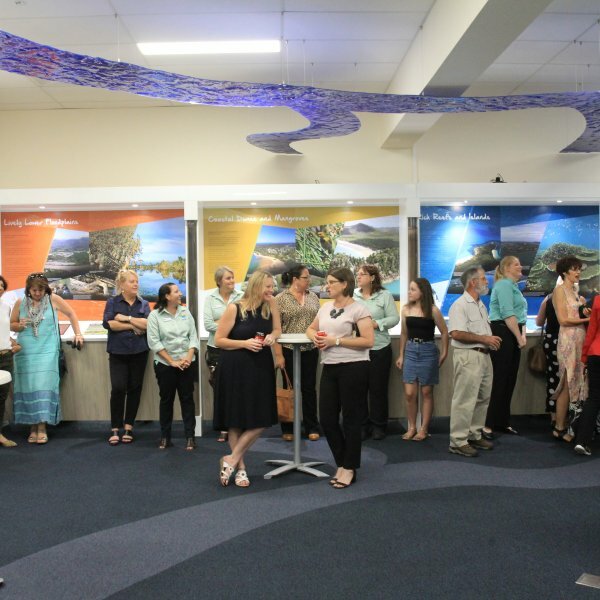 Australia’s only permanently housed Natural Resource Management display, the Flow Centre is a fascinating display of FBA projects and successful local partnerships. 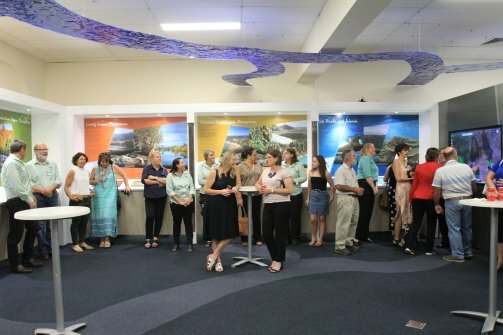 FBA’s Science Engagement Officer Daniel Rea says the centre is ready to be utilised as a community resource, connecting locals with the unique value of our local environment. 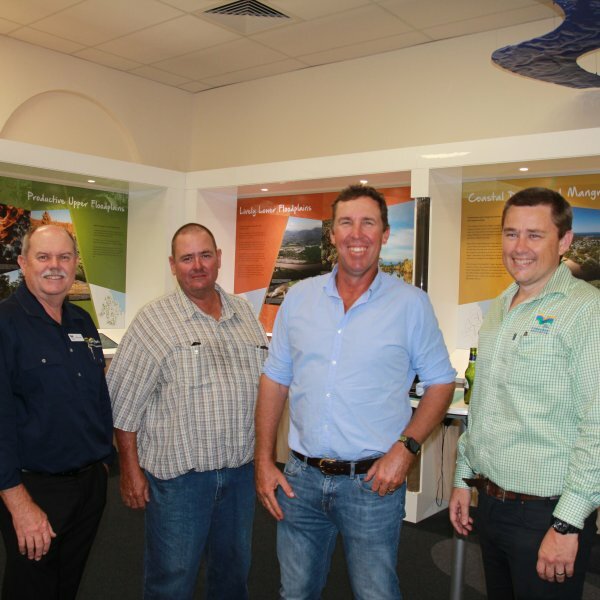 “FBA has carefully structured the Flow Centre to ensure it’s a resource that can be used by everyone,” he said. 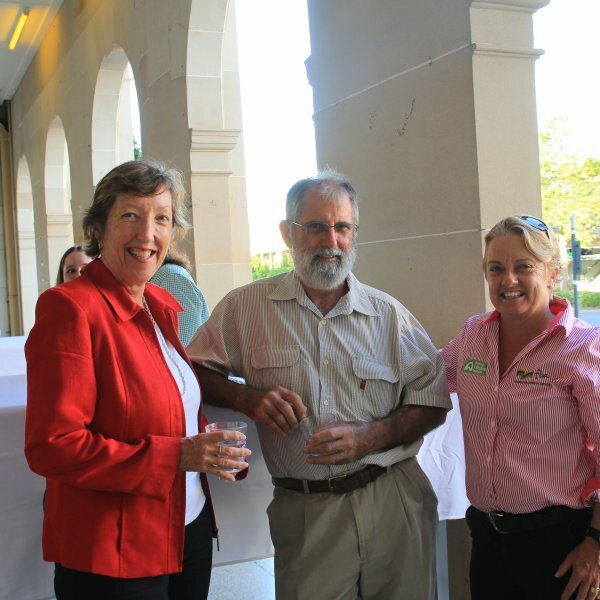 Located in Rockhampton’s CBD on the corners of East and Denham Streets, every aspect of the natural environment in the Fitzroy region is ready to be explored, including wetlands, native species, floodplains, mangroves and coral reefs. With careful curation, FBA has also ensured that the centre’s many exhibits are able to be taken on the road, delivering the message of sustainability and practice change to regional towns across the Fitzroy region. “Over the lifespan of the Flow Centre, we’ve welcomed 22,000 visitors through our doors – and we can’t wait to see those faces again, plus plenty more,” says Daniel. Some of the Flow Centre’s features include 3D modelling, touchscreens, virtual reality, interactive displays, life-sized maps and even a few surprises. Facilities available as part of venue hire include interchangeable walls, tables and chairs, a large screen television and projector. 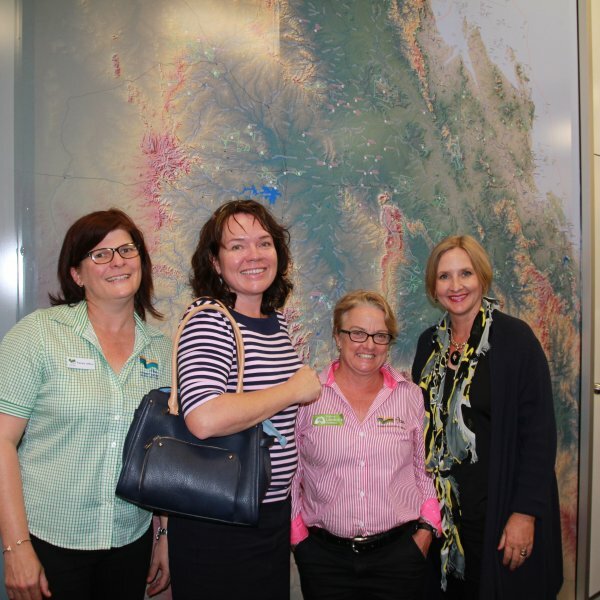 Whether you’re seeking a venue, meeting space, educational resource or simply looking to expand your knowledge of the local area, Fitzroy Basin Association’s Flow Centre is an adventure in itself! 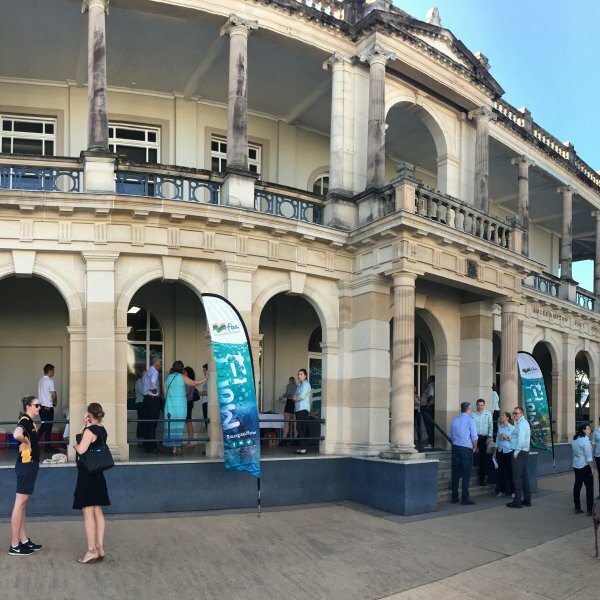 « PREVIOUS: Smart Farming Partnerships – are you making a submission?